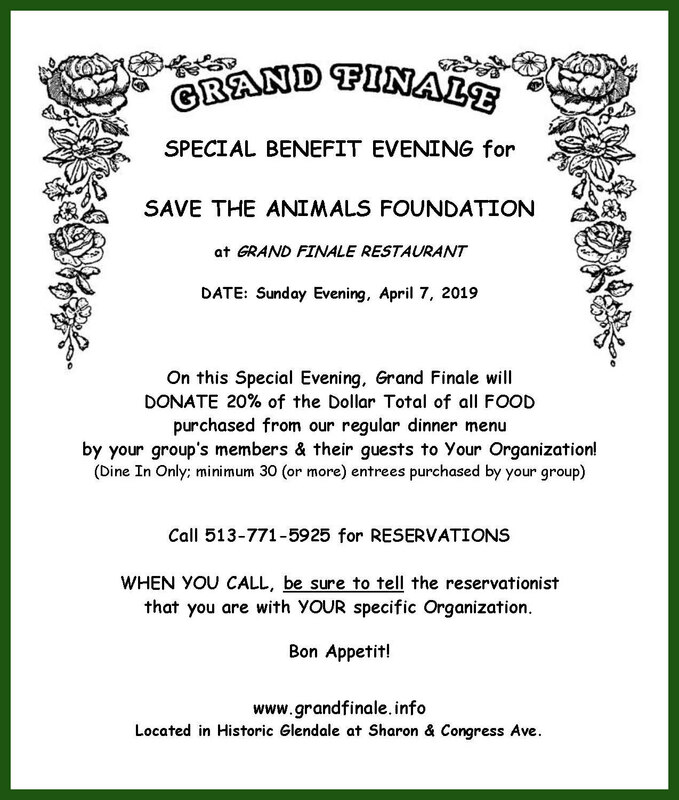 Would you like to dine at one of the best restaurants in the Cincinnati area and, at the same time, support all the animals at Save the Animals Foundation, a non-profit, all-volunteer, no-kill shelter and sanctuary? 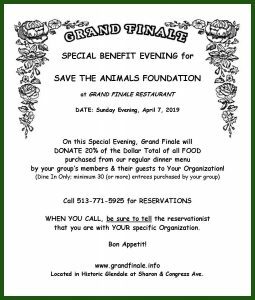 Save the Animals Foundation is partnering with the prestigious Grand Finale Restaurant in Historic Glendale, 3 E. Sharon Rd. (@ Congress St.), for a fundraiser on Sunday, April 7th, from 4:30 to 8:30 pm. 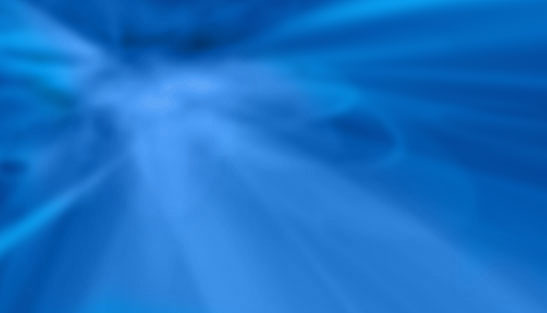 It’s simple to participate. Just call ahead for reservations for that evening (771-5925), mention you’re coming to support STAF, enjoy an extraordinary meal, and STAF will receive 20% of the proceeds! A great meal and a good deed – all in the same evening. See you there!